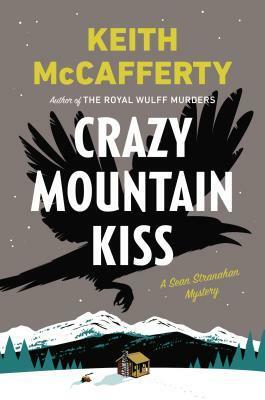 Crazy Mountain Kiss takes place in the Crazy Mountains of Montana. The corpse of a young girl who went missing months earlier has been found in the chimney of a rental cabin. The sheriff and her team, along with Sean Stranahan, a private detective, investigate to discover where the girl has been since her disappearance, and the events that lead to her death. There are almost as many people trying to impede the investigation in some way as there are individuals trying to locate Cinderella’s trail. A mix of law enforcement, ranch people, and other colorful (and at times unsavory) characters keep the story interesting. The author does a good job of casting suspicion first one way and then another, keeping me guessing all the way through. I like mystery novels that manage to keep me from figuring out who the culprit is too soon in the story, but that haven’t kept some important detail hidden up to the end. This novel is like that. You are privy to every detail Sean Stranahan uncovers as he questions Cinderella’s family and acquaintances and searches for clues. I did feel a little confused at the main characters relationships near the beginning, but since this is the fourth book in a series (but the first one I have read) that isn’t too surprising. The author does let you in on what is going on with the main characters, but I think I might have liked the story more and the characters might have mattered a little more to me if I had started at the beginning and had more backstory for them. All in all, this was a good mystery. I would recommend it to fans of the Longmire series by Craig Johnson. Ooh I am intrigued, I also love a mystery where the pieces are all laid out throughout the narrative, instead of new ones coming up in the end. Not all books in a series can be read as standalones… Shame, really. I have read books that were part of a series and found it would have made more sense if I had known to read another book first. You can get through it but something is definitely missing.